Here’s how you can write a document once in your own language in google docs and translate them into 42 different languages! 1. First, you will need to be using Google Docs and have a document opened. 3. Your original document will remain intake while a new browser window/tab is opened to show the translated document. 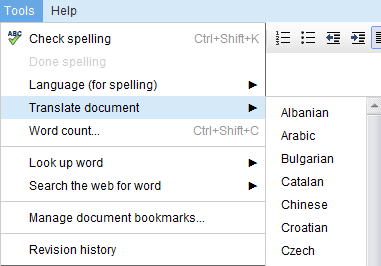 You will have the option to save the translated document as a new document or overwrite the existing document. Try this if you just want to translate any web page into another language.